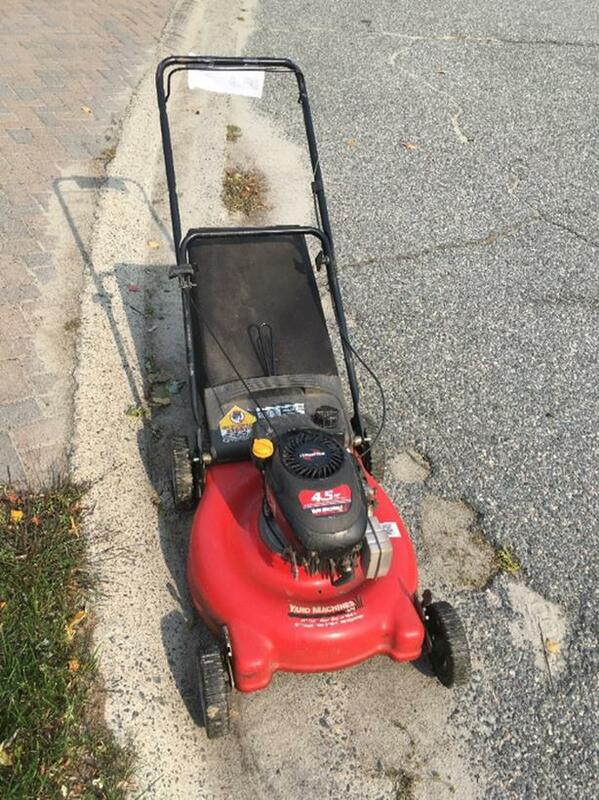 4.5 HP Yardwork lawnmower approx 10 yrs old. Full gas tank. May need spark plugs changed.